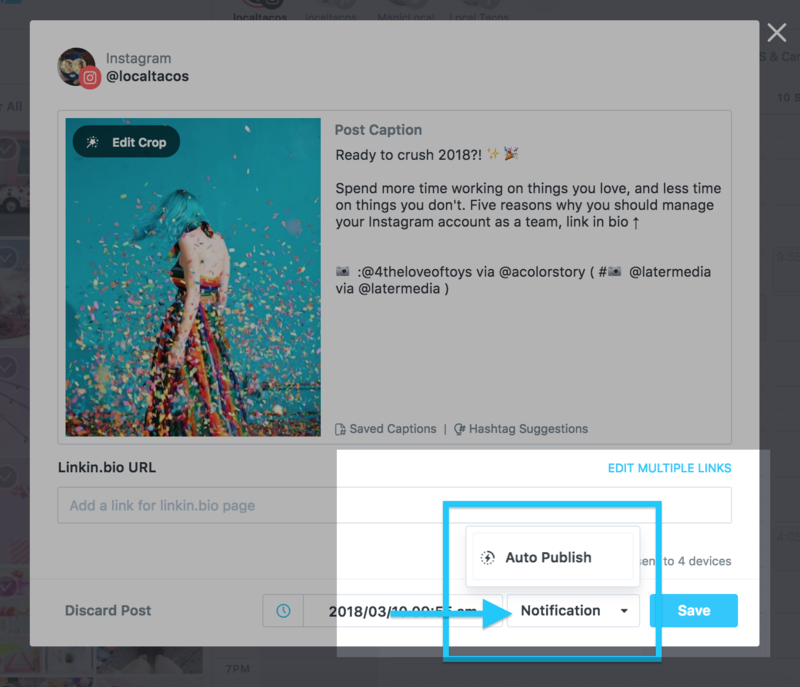 Your post will automatically be published to Instagram at the scheduled time. This feature is available to Instagram business profiles and single photo and video posts only. To schedule a carousel post, use Notification posting. Important: These are the limitations on Instagram’s API (application program interface). When Instagram makes updates to their API Later will make changes too. 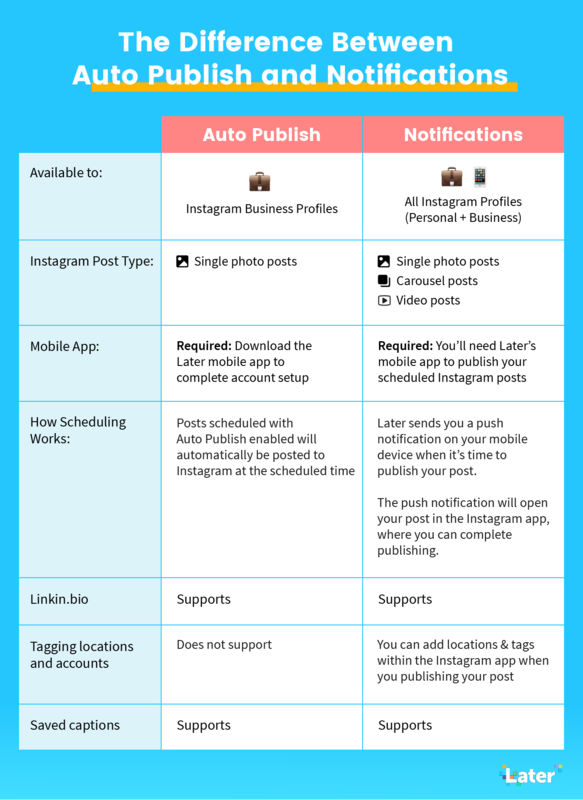 If you'd like to enable Auto Publishing, make sure to have your Instagram business profile set up first. Once you set it up, go back to your Instagram calendar, open all your scheduled single photo and video posts, and change them from Notification to Auto Publish.